Many fiction writers created a form of humans from their respective prospectives. They are either superior or inferior to humans, some of them have some kind supernatural abilities or unrealistic body proportions that makes them a different breed. It is a collection of various notable humanoid species that are featured in text literature such as novels, short stories, and poems but not originating in comics. 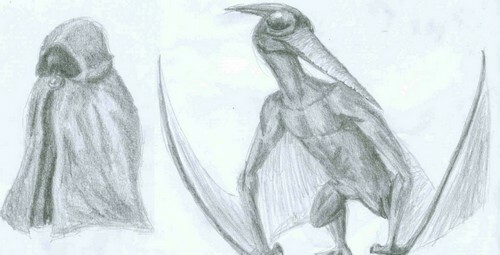 They are the race of creatures that are used as soldiers in fantasy writings of J. R. R. Tolkien. In literature they are portrayed as miserable beings who hate everyone including themselves and their masters, whom they serve out of fear. They design and make cunning devices only to hurt others and make destruction. 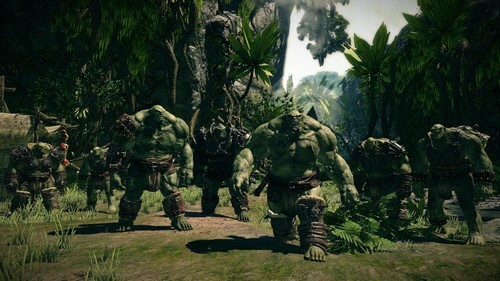 They are extremely dangerous monsters, green giants that posses incredible muscle power much greater than any human and animal exist on the planet earth. 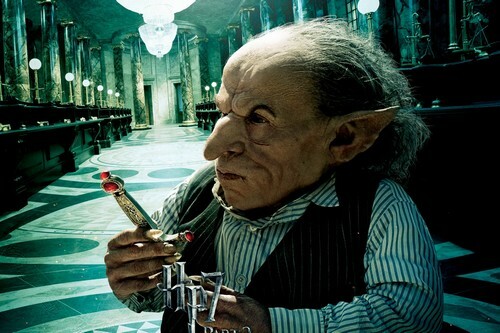 Goblins are extremely intelligent race of small humanoids with long fingers and feet, pointed nose, dome shaped head and fair skin because they don’t spend too much time in outside world. They usually eat roots, fungi and meat. They are greedy of silver and gold and always look for treasure. Apart from being highly intelligent, they are skilled metalsmiths. 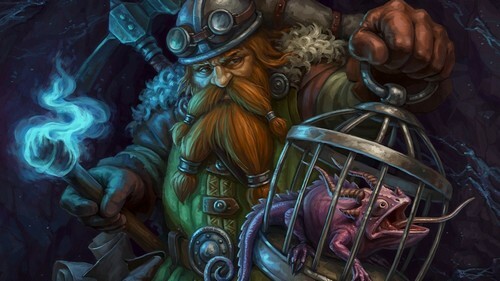 Dwarves are described as shorter and stockier than humans, able to withstand both heat and cold. Though they are mortal but have an average lifespan of up to 250 years. They occasionally comedic and bumbling, but mostly seen as honorable and Serious minded. They also portray some negative characteristics such as having greed of gold, extreme proud and officious. They are great metal workers, smiths and stone workers and use axes as their major weapon made by themselves but also use swords, shields and mattocks. Eloi are the post-human races appeared in H. G. Wells novel The time machine. By the year of AD 802,701 humanity is evolved into two different species Eloi and Morlocks. Eloi are described as smaller than modern humans with shoulder length curly hairs, pointed chins, large eyes, small mouth with bright red lips and sub-human intelligence. They do not perform much work except to feed, play and mate. Morlocks capture individual Eloi for food and because this happen on moonless nights, Eloi are afraid of darkness. Horse-man is a complete mythical creature just like mermaids but instead of having lower body of fish they are half horse and half man. Having half horse body they can run with blazing speed just like normal horses much faster than humans and are the owner of unmatchable power and supernatural abilities that help them to beat any enemy dare to fight them. 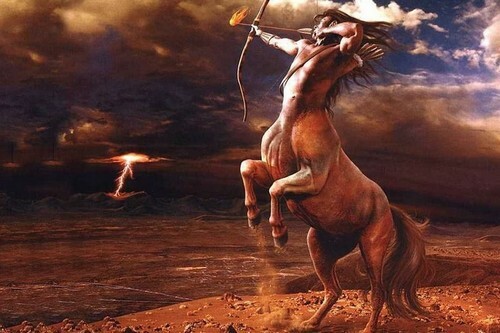 They are popularized by the novel of Adam blade called ‘ Beast Quest ‘ there are only two known horse-man, Tagus, the Knight horse and Equinus, the sprit horse. Unlike any other humanoid in this list they are from an urban fantasy world. There are many different kinds of shadow hunters each with some kind of special abilities but they are commonly tall, thin and good looking because they never ages physically. 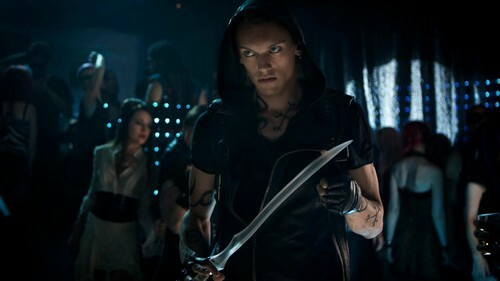 Jace is the main character in the series of six novels The mortal instruments, he is described as muscular with scars across his golden skin. He has blonde hairs and golden eyes like most of the shadow hunters. They inhabit in a fictional world called middle-earth. 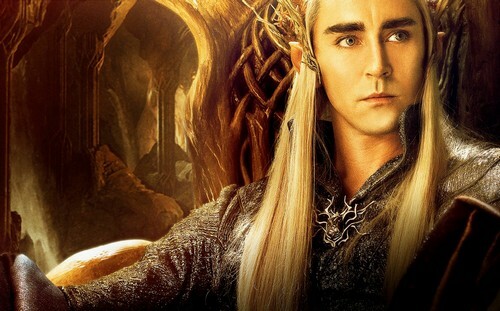 Elves represent the man with great artistic ability, external as well as internal beauty and long life span. They are natural immortals and can recover from wounds which would kill an mortal man. Their mind develop more quickly than their bodies by their first year they can speak, walk and even dance. Their quicker mental maturity leads to make young elves seem to man, much older than they are. Unlike human beings their bodies stop aging physically. They are fond of doing things like smithwork, sculptures, music and other arts. Males and females are considered equal, however females often specialized in arts and males go for war. But females can defend themselves and fight like males at the time of need. They are portrayed as fair, graceful and wise beings. Their facial features resembles to humans but with longer hairs and pointed ears. They have various supernatural abilities like enhanced eyesight and immunity to any kind of disease however, they can die of grief and weariness. 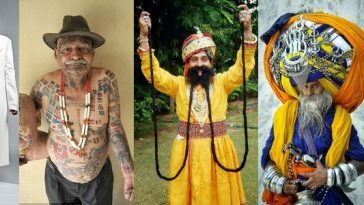 They have three stages of life similar to insects, first they are eggs then become humanoid youngsters and finally they shed their skin and become huge beast called lathrblaka. They have large black eyes without pupils and their breath can put people in dream like state. The Ra’zac are social and intelligent, they are capable of communicating complex information to each other. They can also speak human languages but not clearly.They are stronger than humans, and can jump far long distances. They can’t directly use magic, dislike bright light and are afraid of water. They use various weapons including daggers, swords, bows and poisons. 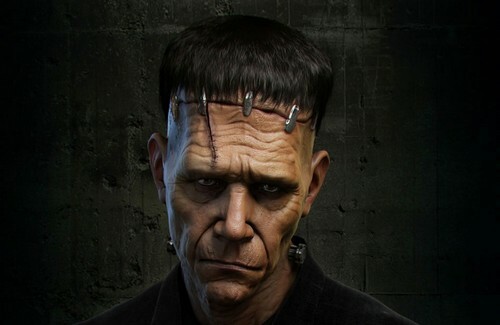 Probably the most popular humanoid of literature all credit goes to dozens of Hollywood movies based on the novel Frankenstein. It was created by Dr. Frankenstein by stitching different kind of human body parts and organs taken from multiple sources. He got life by passing ultra high voltage current through his body that also made him indestructible. He has some traits and muscle memory from humans he composed of. He is huge. exceptionally strong and possess power that humans can only dream to have. He can also survive on food that humans can’t even digest. Hobbits also known as Halfings are the race of fictional humanoids in novels of middle-earth by J. R. R. Tolkien. They are quite short compared to modern age humans, full grown men are between 2 and 4 feet tall. They mostly wear bright color dresses, favoring yellow and green. They are shy, but are nevertheless capable of great courage and amazing feats under some circumstances. They adept with slings and throwing stones. They usually can’t grow beards and their feet are covered with curly hairs, most of the hobbits don’t prefer to wear shoes. They are known to have lived to the age of 130 years or beyond. The best part about hobbits is that, they may be aren’t completely fictional. 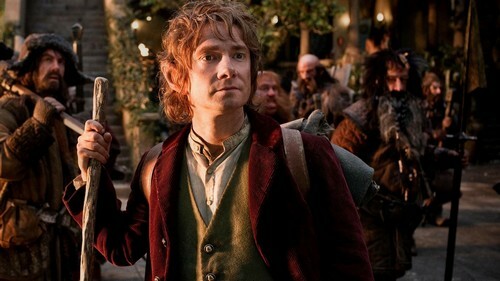 Scientists have recently discovered that hobbits could be existed in real life. In 2004 on Indonesian island of Fores some remains of tiny people are found that reassembles some characteristics with hobbits. They called them Homo floresiensis.